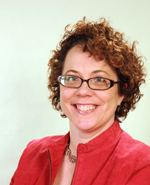 Patricia (Patty) Payette, Ph.D. is the senior associate director of the Delphi Center and oversees the "Ideas to Action" initiative and associate director of the Delphi Center for Teaching and Learning. Prior to this position, Dr. Payette was assistant director of faculty development programs in the Office of Faculty and Organizational Development at Michigan State University. 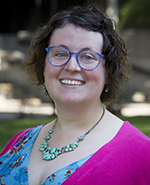 She comes to the university with expertise in faculty development, curriculum and program design as well as previous work experience at the University of Michigan Center for Research on Learning and Teaching. Email Dr. Payette with questions or comments, or to discuss your involvement or interest in the i2a initiative. IL Barrow, M.A. is the i2a specialist for assessment. Prior to this role, IL was the senior institutional research analyst for the University of Louisville’s Office of Academic Planning and Accountability. 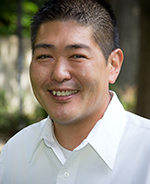 IL brings to his i2a role an extensive knowledge of national assessment instruments (e.g. NSSE, CIRP, CAAP), assessment of student learning outcomes, retention studies, and various data analyses related to student success. He also brings wide-ranging experiences in undergraduate teaching, academic advising, and graduate admissions and student services. IL coordinates unit and University i2a assessments. Email IL if you wish to discuss your assessment plans or seek assistance with your assessment or outcome activities. 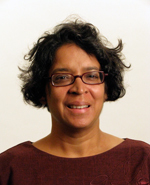 Nisha Gupta, Ph.D. is the i2a specialist for Culminating Undergraduate Experiences. Prior to this position, she was the associate director for professional development programs of the Graduate School at Syracuse University. She comes to Ideas to Action with a background in community development, curricular design, and teaching women’s studies. Email Dr. Gupta with your questions, comments, and interests in implementing Culminating Undergraduate Experiences. Jessica Musselwhite, M.A. is the i2a program coordinator senior. Her role on the i2a team involves fiscal management, event coordination, and administrative assistance for the i2a and the Instructional Design and Technology (IDT) teams. Prior to this role, Jessica was the general manager of Flowerbooking, an entertainment booking agency in Chicago, IL. Jessica brings to her i2a role an extensive background in administration and a wide range of experiences working in the arts. Before coming to i2a, Jessica obtained her B.A. in Art History and Humanities here at the University of Louisville and her M.A. in Arts Administration and Nonprofit Management from the School of the Art Institute of Chicago. Email Jessica if you have questions or comments regarding i2a. Indigo Cornelison is the graduate assistant for the Quality Enhancement Plan. Her role on the QEP team involves assisting with events, coordinating QEP website updates, and generating reports and documents. She brings to her position experience as an AmeriCorps VISTA Outreach Coordinator for 55,000 Degrees and a multitude of student leadership roles as an undergraduate. 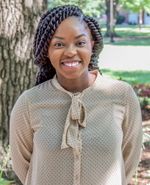 Indigo is a first year graduate student in the College of Education & Human Development’s College Student Personnel program. Before coming to the University of Louisville, Indigo obtained her B.S. in Accounting at the University of Kentucky. Email Indigo if you have questions or comments regarding the QEP.